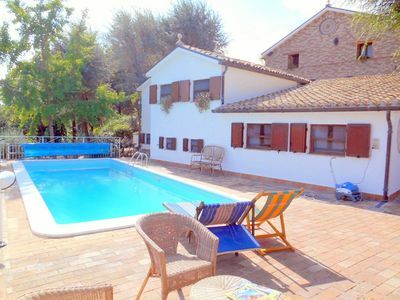 La Casa Della Civetta is a nice holiday rental with WiFi internet and shared pool. 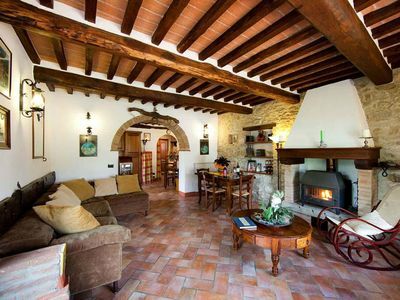 La Casa Della Civetta is a country resort having a total of five private apartments. 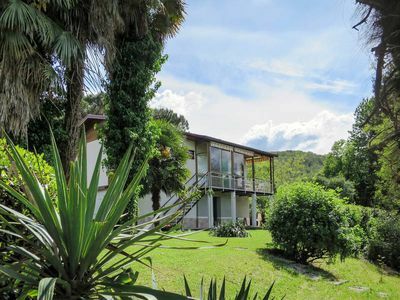 The property can accommodate up to 23 guests comfortably. La Casa Della Civetta is located 3 km (2 mi) from Castel Colonna, Italy and only 46 km (28 mi) from Ancona. In nearby towns there are local shops where you can find fresh produce and other items, but if you need a larger shopping center there is one located only 8 km (5 mi) from the property where you can purchase groceries and personal items. When you arrive you’ll find a beautiful clean well-maintained property perfect for a peaceful holiday in The Marches. For your pleasure you will find a pool where you can relax while enjoying a nice cold beverage after a busy day of sightseeing. A real time-saver is having a washing machine on-site that is available for the guests to use. Outside you will also find a patio and barbecue grill. A lot of people traveling with friends prefer a multi-unit property where they can spend time together in the common areas, such as the pool or garden, but still have their own private living quarters with bedroom and bathroom. Most people enjoy visiting nearby cities and towns while on holiday, so for your reference this is a list of popular places with driving distances from the property: Ancona 46 km (28 mi), Porto Recanati 63 km (39 mi), Riccione 71 km (44 mi), Urbino 75 km (47 mi) and Rimini 82 km (51 mi). 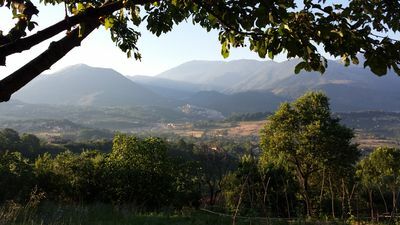 The highway is only 8 km (5 mi) from the villa and there is a train station 9 km (6 mi) away. 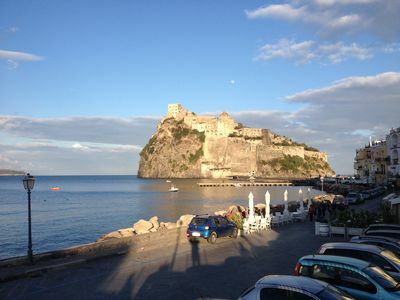 If you'd like to visit the beautiful Italian coast, it's just a short driving distance to the sea from the vacation rental, only 12 km (7 mi). Some other major tourist destinations you should consider visiting are: Florence 297 km (185 mi), Rome 290 km (180 mi), Venice 342 km (212 mi), Milan 404 km (251 mi) and Naples 451 km (280 mi). 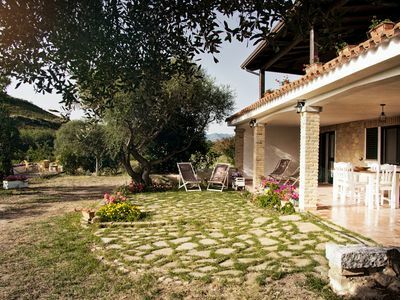 Pets Welcome - If your pet is travelling with you on holiday that is not a problem at La Casa Della Civetta. If you have a large dog or multiple pets, please ask for permission prior to booking. 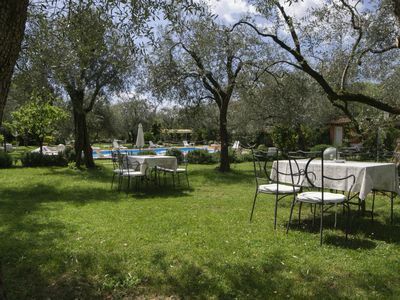 Weddings – La Casa Della Civetta would be a good choice for your wedding venue. All aspects of the wedding can be arranged with a professional wedding planner including the food, entertainment and floral arrangements. If you need additional rooms for your wedding guests, we can help you find suitable local accommodations. Stop dreaming and start planning your wedding in The Marches. Nearest Airports: Bologna (Blq) 197 km (122 mi), Firenze Peretola (Flr) 292 km (181 mi), Roma Ciampino (Cia) 299 km (186 mi), Roma Fiumicino (Fco) 312 km (194 mi) and Venezia (Vce) 344 km (214 mi). 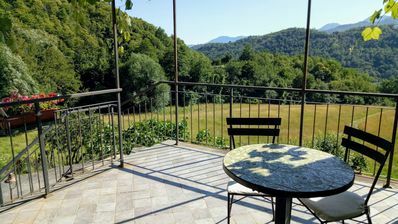 La Casa Della Civetta is a lovely property with a total of five private apartments that is conveniently located 3 km (2 mi) from Castel Colonna, Italy and only 46 km (28 mi) from Ancona. 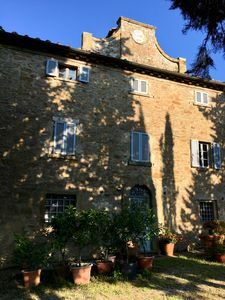 La Casa Della Civetta, among other amenities, includes also pool and WiFi internet. 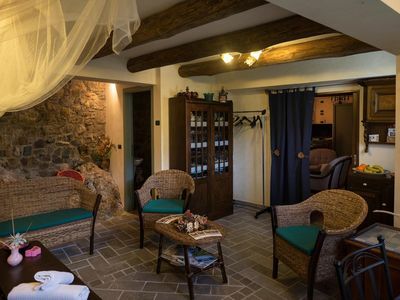 Barbagianni (120sq m) is a two-bedroom unit with one bathroom that is built on one level and can sleep up to eight people. In the unit is available WiFi internet connection. Including: kitchen, living room, bedroom + ensuite bathroom, bedroom, bathroom. 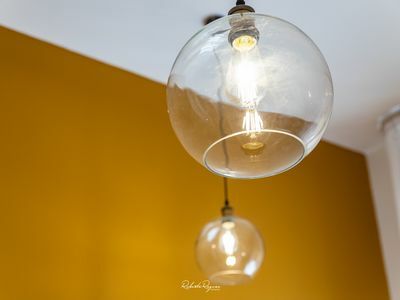 Kitchen (20 m2): well equipped kitchen, dining table (people: 10), fridge, stove top, wood burning stove, oven, iron, italian coffee machine, washing machine, washing machine, WIFI internet, mosquito net, ceiling fan. 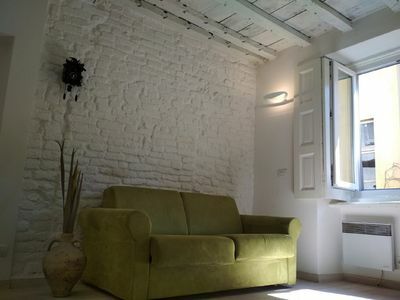 Living room (40 m2): armchair, working desk, fireplace, dining table (people: 8), two single beds, two sofa beds (width: 1m, length: 2m), WIFI internet, television, portable fan, stereo hifi. 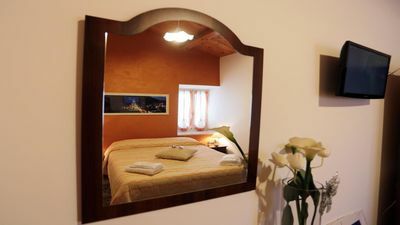 Bedroom + Ensuite Bathroom (20 m2): double bed (width: 1.6m, length: 2m), WIFI internet, mosquito net, basin, toilet, bidet, shower, iron, hairdryer. Bedroom (14 m2): double bed (width: 1.6m, length: 2m), WIFI internet, mosquito net, working desk, stereo hifi. Bathroom (6 m2): basin, toilet, bidet, shower, hairdryer, WIFI internet, mosquito net. 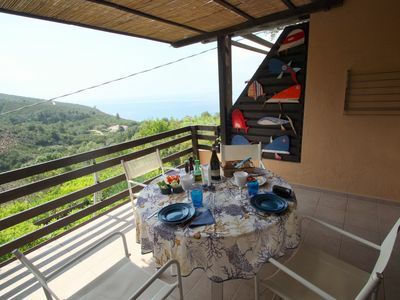 Veranda (20 m2): al fresco dining, dining table (people: 10), WIFI internet, barbecue, garden furniture. 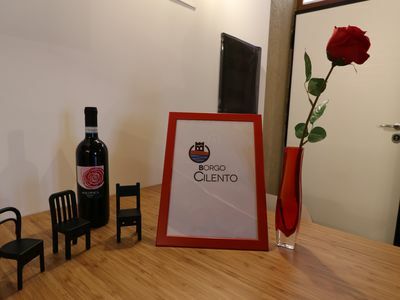 Available to all guests: kitchen, generic room, patio, garden, parking space. 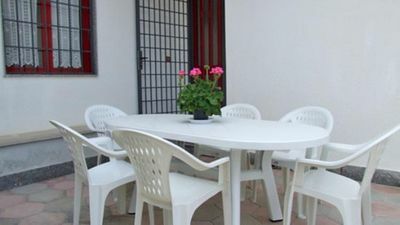 Kitchen (20 m2): dining table (people: 10), fridge, stove top, iron, italian coffee machine, washing machine, mosquito net, exit to the garden, exit to the patio. 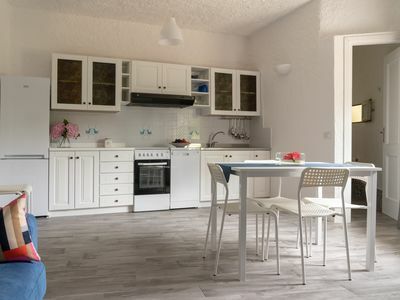 Generic room (20 m2): WIFI internet. 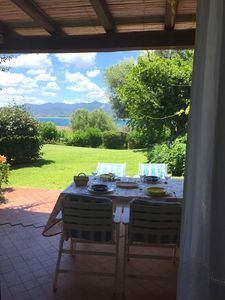 Patio (50 m2): al fresco dining, five dining tables (people: 10), WIFI internet, garden furniture, terrace furniture, eight sunbeds. Garden (2000 m2): swimming pool (length: 9m, max. depth: 2.15m, min. depth: 0.95m, outdoor, width: 5m), WIFI internet, barbecue, al fresco dining, dining table (people: 5), garden furniture, eight sunbeds, enclosed property, children's playground. 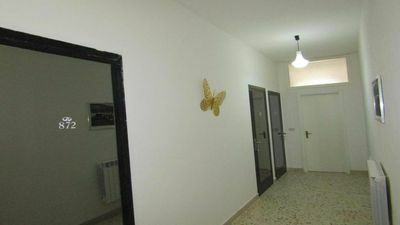 Parking space (200 m2): inside the property, gate (width: 3m), seven car spaces. Casa Garibaldi, full historical center!